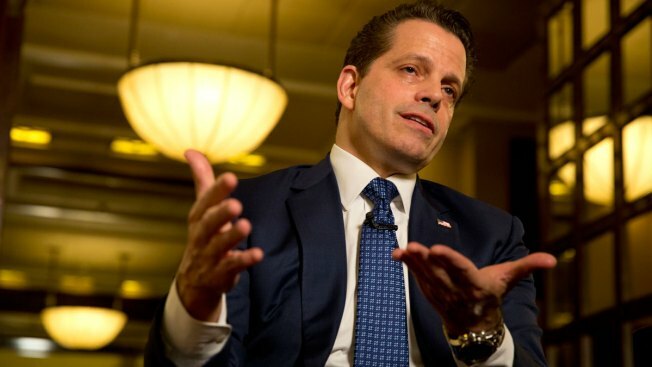 Former White House communications director Anthony Scaramucci poses for a photograph after an interview with the Associated Press in Jerusalem, Monday, Nov. 20, 2017. Olympic champion swimmer Ryan Lochte and former White House communications director Anthony Scaramucci are among the cast announced for the second season of "Big Brother: Celebrity Edition." The rest of the cast is actor Jonathan Bennett, singers and reality TV personalities Tamar Braxton and Kandi Burruss, comedian Tom Green, actor and former O.J. Simpson houseguest Kato Kaelin, actor Joey Lawrence and Lindsay Lohan's mother Dina Lohan.